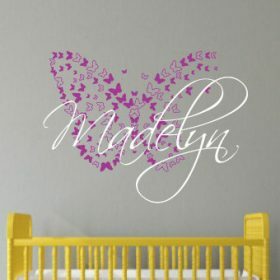 Beautifully scripted girls name wall decal with butterfly background, perfect for nursery wall or kids room. 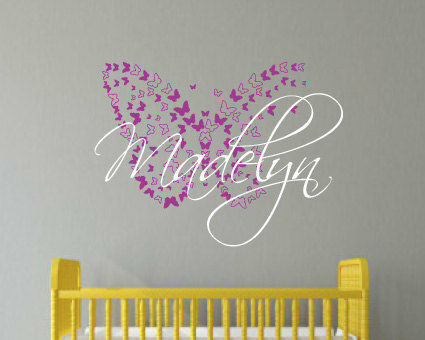 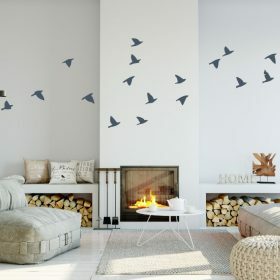 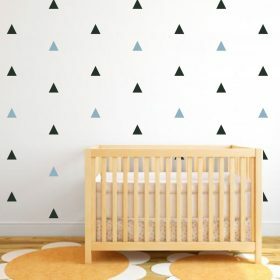 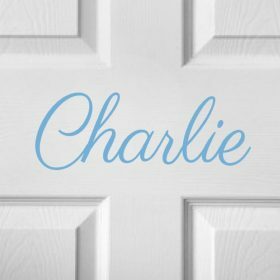 Personalise the girls name wall decal by choosing your own name! 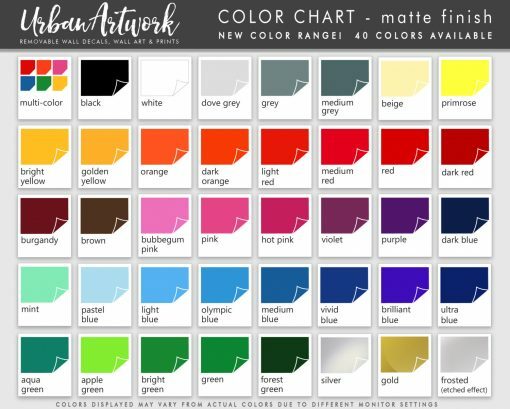 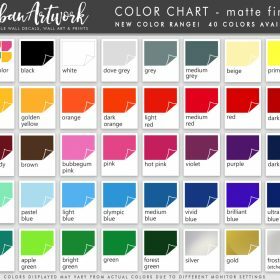 Please be sure to specify the name and name color in the notes box on the checkout page, or by sending a message! To include additional information (if any) on your order, please also add it to the notes box.